It’s been one heckuva winter. Felled by first one virus and then another, I’ve been doing pretty much nothing for about two months while it snowed and froze outside. 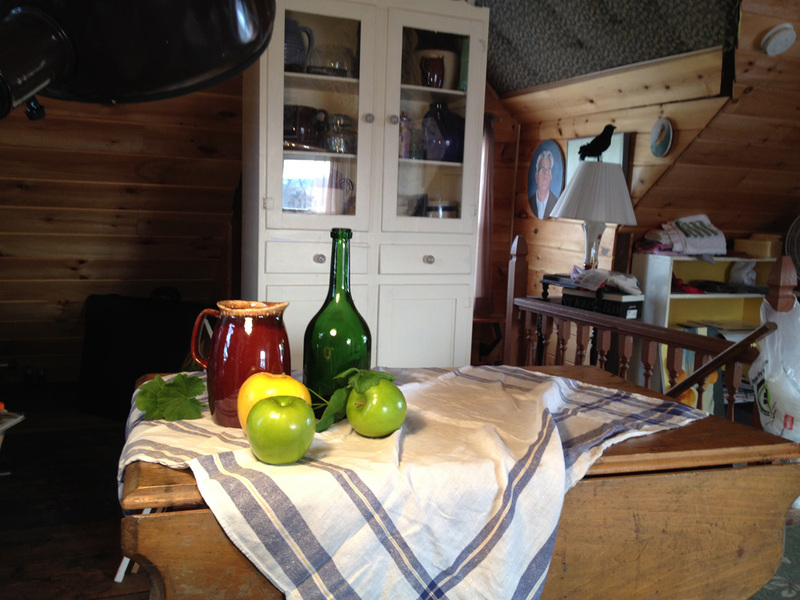 Still have the residual fatigue and cough, but last week I started painting again, thanks to my artist-friend Mary Robertson, who invited me to a still life session at her studio a few blocks away. I’m not happy with the underpainting I did that day, but the activity has spurred me on to work more on a figural landscape I started last summer, which has been sitting on a shelf in my studio since July. And that’s what I worked on when Mary came to my studio this week. Painting is such a solitary occupation, it’s great to occasionally have someone nearby to bounce things off of. 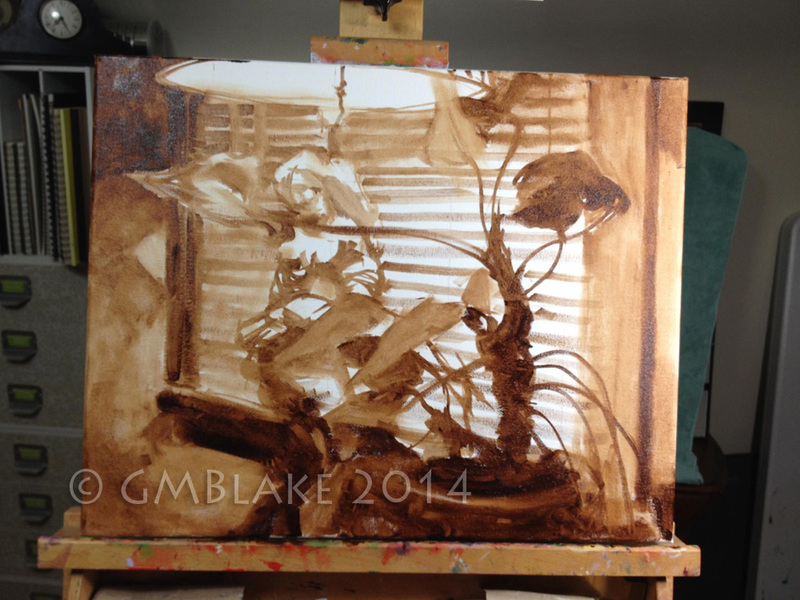 I’ve also done a couple more underpaintings for 16×20 in. oil studies for another large-ish series of 24×30 in. 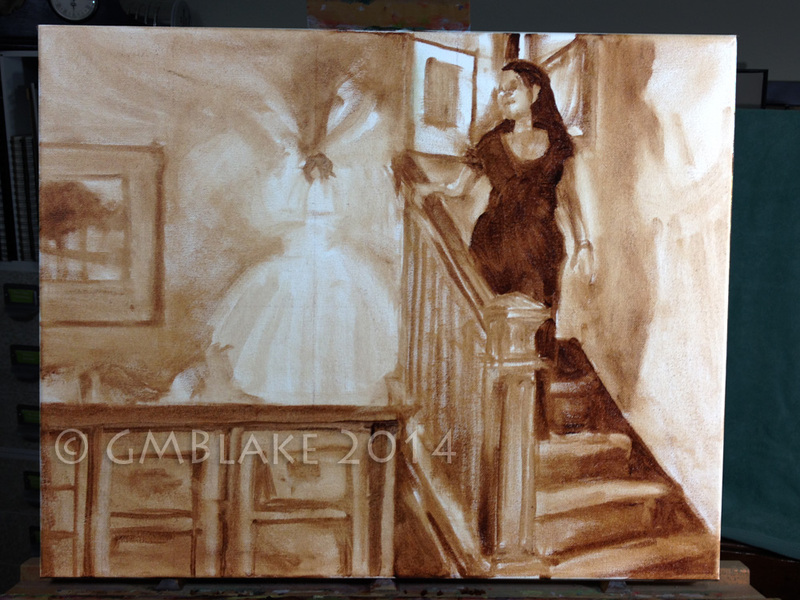 pieces, this time underpainting in burnt umber rather than cadmium red. I wasn’t sure at first what the unifying series theme would be, but as I worked in Photoshop composing the pieces, it came to me that all the pieces are explorations of interior figures in indoor light modified by outdoor light from windows. The figures are variously live or statuary. The series is tentatively titled Light Within/Light Without. 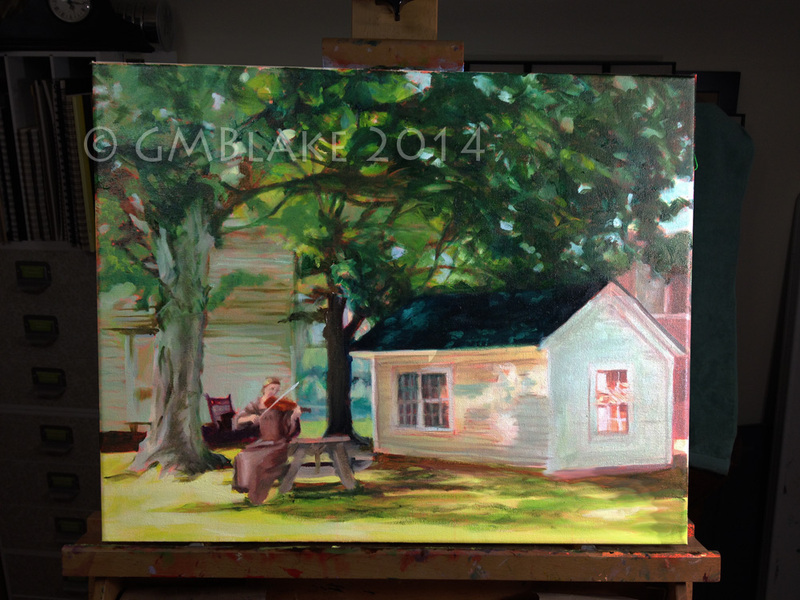 Have to take it slowly still, but it’s sure good to be painting again. *”Like” my Facebook page at left, for access to the ongoing progress on these pieces — see my photo albums for each piece as it develops.